Centerbrook, CT, November 2, 2015 — Visiting Nurses of the Lower Valley today announced that it has been named to the Top 100 of the 2015 HomeCare Elite™, a recognition of the top-performing home health agencies in the United States. 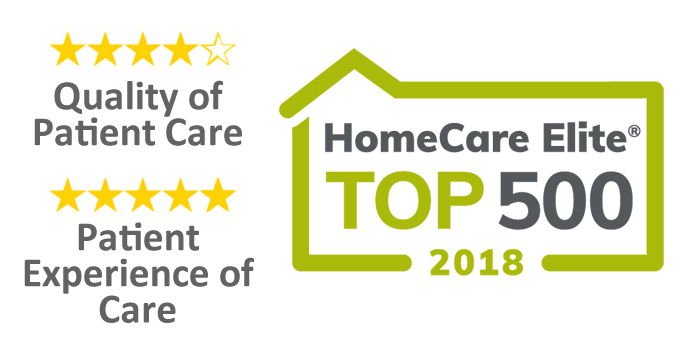 Celebrating its tenth anniversary, the HomeCare Elite identifies the top 25 percent of agencies and highlights the top 100 and top 500 agencies overall. Winners are ranked by an analysis of publicly available performance measures in quality outcomes, best practice (process measure) implementation, patient experience (Home Health CAHPS®), quality improvement and consistency, and financial performance. In order to be considered, an agency must be Medicare-certified and have data for at least one outcome in Home Health Compare. Out of 9,718 agencies considered, 2,431 are elite. Visiting Nurses of the Lower Valley, Inc. Executive Director, Susan Maxwell credits the high level of professionalism, the unwavering dedication and the compassionate care of her staff with the agency’s ability to achieve recognition as one of the HomeCare Elite Top 100 agencies. “Every effort is made to achieve the best possible outcomes for our patients. Our caregivers consistently provide the highest quality care to our patients. We take pride in our ability to see patients in a timely manner upon their return home,” said Ms. Maxwell. Visiting Nurses of the Lower Valley, Inc. is a not-for-profit, Medicare and Medicaid certified home health care organization serving Essex, Chester, Deep River and twelve other towns in the Lower Valley and Shoreline regions. Please call (860) 767-0186 for service information.